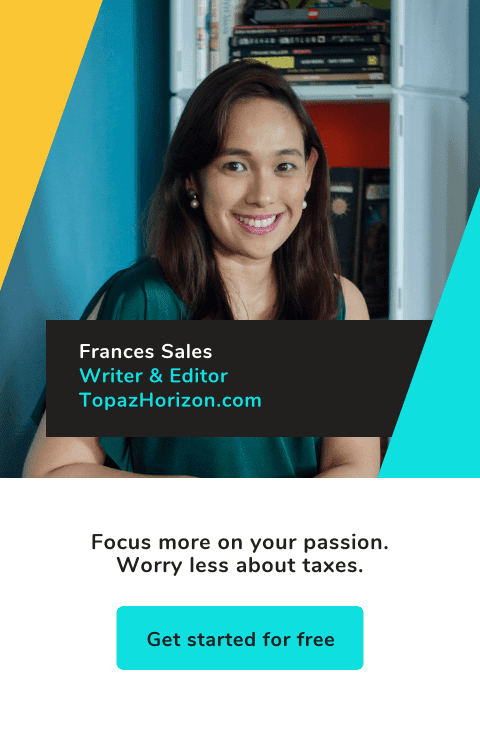 TOPAZ HORIZON: Bianca Gonzalez Intal is Sanicare's first ambassador! Plus, my 7 kitchen towel hacks! Bianca Gonzalez Intal is Sanicare's first ambassador! Plus, my 7 kitchen towel hacks! Mommies, I had such a fun afternoon with other mamas when Sanicare invited us to a lovely little party to welcome Bianca Gonzalez-Intal as their first ever brand ambassador. Sanicare is a line of kitchen, bathroom and personal care paper and cotton products. So that's kitchen towels, toilet paper, facial tissues, and the like. In my home, we've been using Sanicare maybe around 5 or 6 years ago. 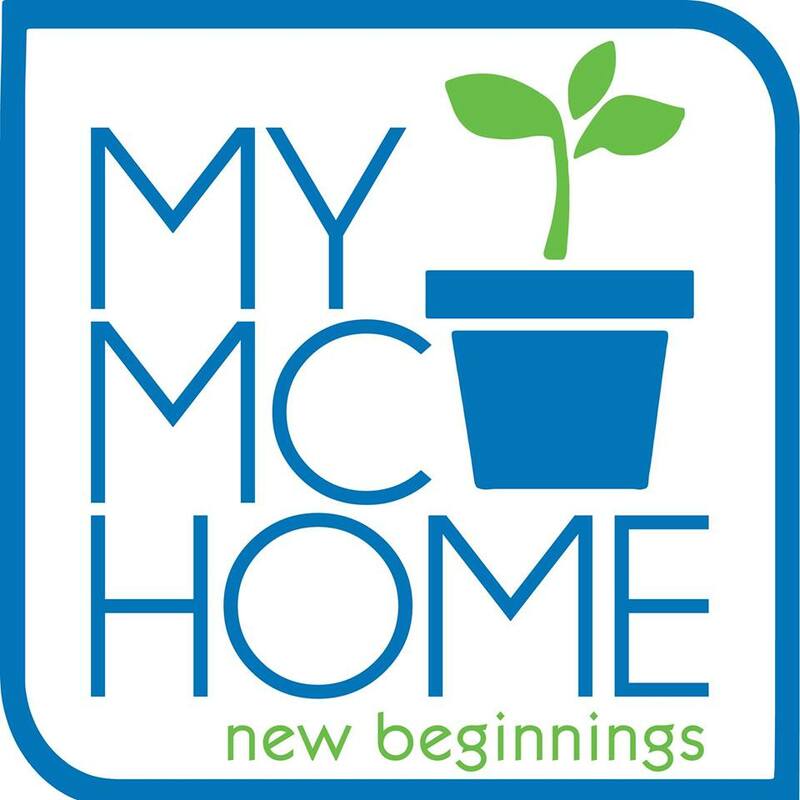 When we had kids and our grocery receipt now featured items like lots of wet wipes and paper towels, my husband Vince decided we needed to look for quality items that are still affordable. Para hindi masakit every time we pulled out a tissue or wipe! Like, seriously, why are kids such a messy affair??? Bianca, being a first-time mom, is now acutely aware of keeping her home clean and using hygienic products. And even though she probably earns more than an average mom does, that doesn't mean Bianca doesn't care about cost. She made sure she picked Sanicare kasi affordable ang products nito. But even though hindi sila kamahalan, sobrang excellent ang quality. I can attest to this because I'm very maarte with the stuff I use. 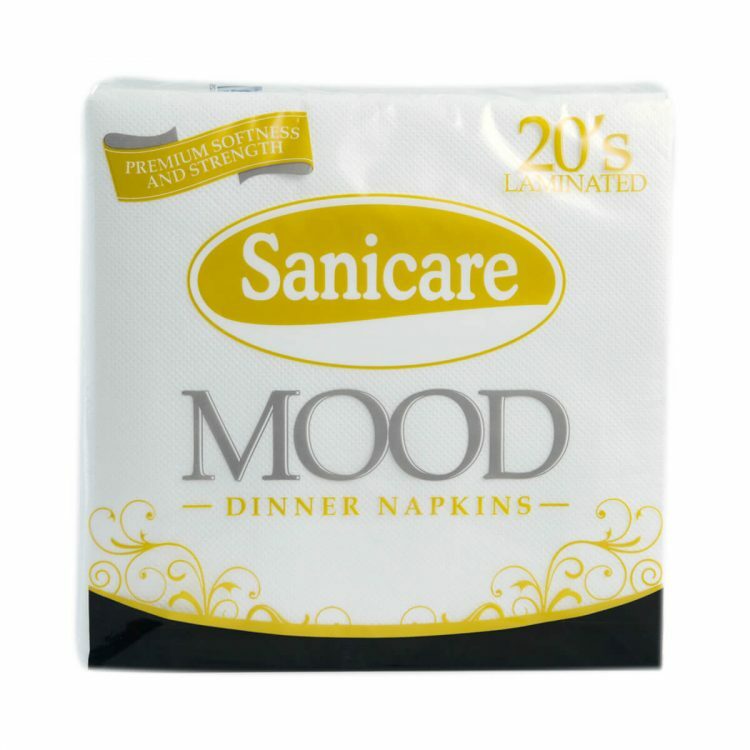 Sanicare paper is very soft and smooth, sarap to use, but hindi siya madaling mapunit. The baby stuff are free of harmful ingredients like parabens, alcohol and perfume. The cotton they use is 100% cotton talaga —walang halo na ibang materials. The towels are extra-absorbent and are free from chlorine and other bleaching agents, plus they are made from 100% virgin pulp. You know what makes me love Sanicare even more? 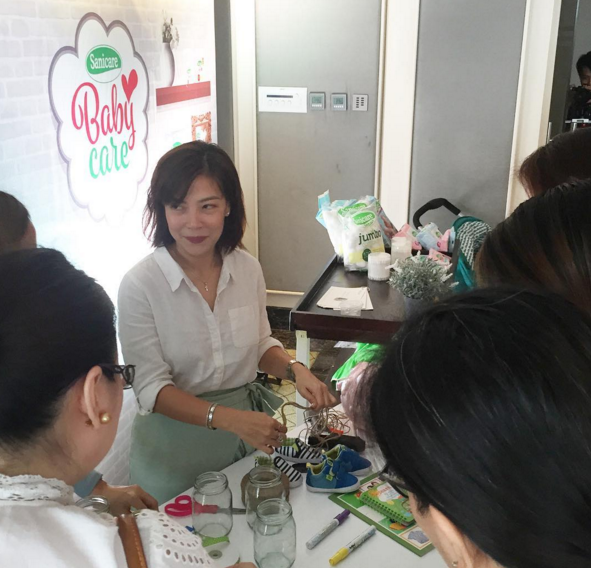 Dun sa event, Marketing Director Lea Sio Pacis revealed that the brand started as products her dad invented for her mom. 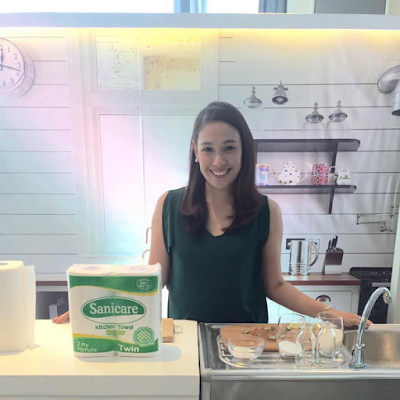 Yes, Lea is the daughter of Sanicare's inventor, and yes, Sanicare is a family business. Lea said her mom has very sensitive skin and being a mommy, syempre, her days were filled with keeping her home and her kids clean. Problem was the products she used those days made her skin sugat-sugat kasi allergic siya. Lea said her dad couldn't let this happen to his dear wife so he made products that were soft, durable, and didn't have harmful chemicals. Sanicare! Grabe, diba? Aanhin mo ang Taj Mahal, supposedly the world's best physical demonstration of a man's love for his wife? This is waaaaaay better! So anyway, speaking of husbands, it was Vince who discovered Sanicare Interfolded Hand Towels. We use it everywhere! Sa dining table, may naka-park na pack for wiping up spills and wiping down messy mouths and hands. For the kitchen, I use it to cover dishes that I heat sa microwave so that the inside of the oven won't get messy from the splatters. 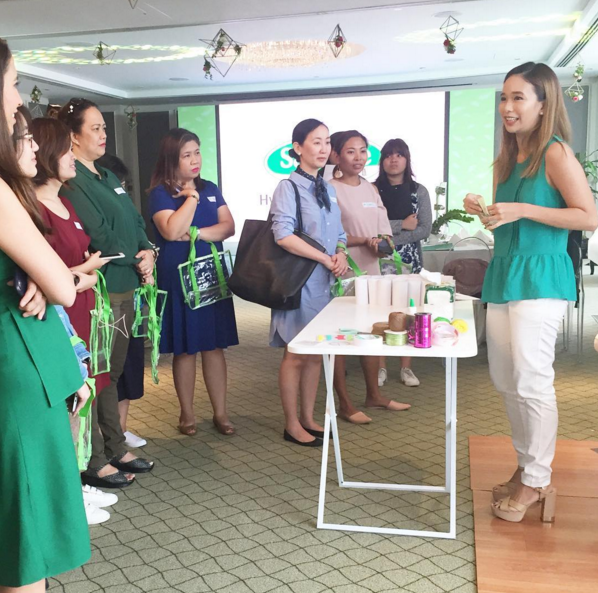 And since we're on the topic of Sanicare's many uses, Beach Born entrepreneur and fashion and travel blogger Sarah Tirona of The Fashion Eggplant, Rory & Sloane entrepreneur and beauty blogger Shari Macainag of The Misty Mom, and myself were invited by Sanicare to share how we use their products. Sarah was in charge of the mommy hacks. She also showed us the fabulous Large Cotton Buds that were shaped so that it doesn't penetrate the ear. No need to worry about harming eardrums, mommies! Shari shared her beauty and grooming tips using Sanicare products. For example, when she applies makeup and her mascara smudges, the Mini Cotton Buds can get that smudge off your face without ruining your makeup. Meanwhile, I shared 10 ways I use Sanicare kitchen towels in my kitchen and dining room. I'm not going to list here what I made chika na to the mommies at the event. Para fresh, I'll list a few more of my kitchen hacks! 1. Clean mushrooms. Washing mushrooms will make them absorb water. A moist paper towel helps clean dirt from mushrooms better. 2. Dry meat before seasoning and cooking. Thawed meat or washed meat must be patted dry first so that salt and pepper and other seasoning can adhere to it. Patting meat dry before cooking also prevents spectacular oil explosions. 3. Heat bread in microwave. Bread should be reheated in an oven or toaster but when I'm in a hurry, I use the microwave. I just wrap/cover the bread/pizza/pastries in a damp towel first to prevent it from drying out. 4. Clean stovetop after cooking. Since ako ang labandera, I don't want my cloth towels to get greasy. Spraying isopropyl alcohol on the paper towel helps to break down the grease! 5. Dry the inside of my kids' water bottles. I just roll up a towel like a straw then poke around inside the bottle. 6. Absorb oil drippings from fried food. Layer two towels in a dish, put the friend food there to rest, then transfer the not-so-oily-anymore pritong pagkain to a serving dish. 7. Absorb excess oil from pizza. Just pat, pat, pat! 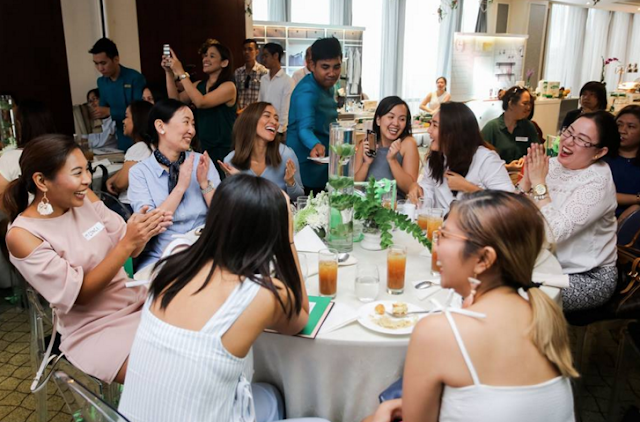 Aaaaand here are the mommies enjoying the super delicious food at Makati Diamond Residences and the fun games that Bianca and Stephanie made everyone do. Every mommy went home with a big tray of Sanicare goodies. Hooray! Thanks, Sanicare! 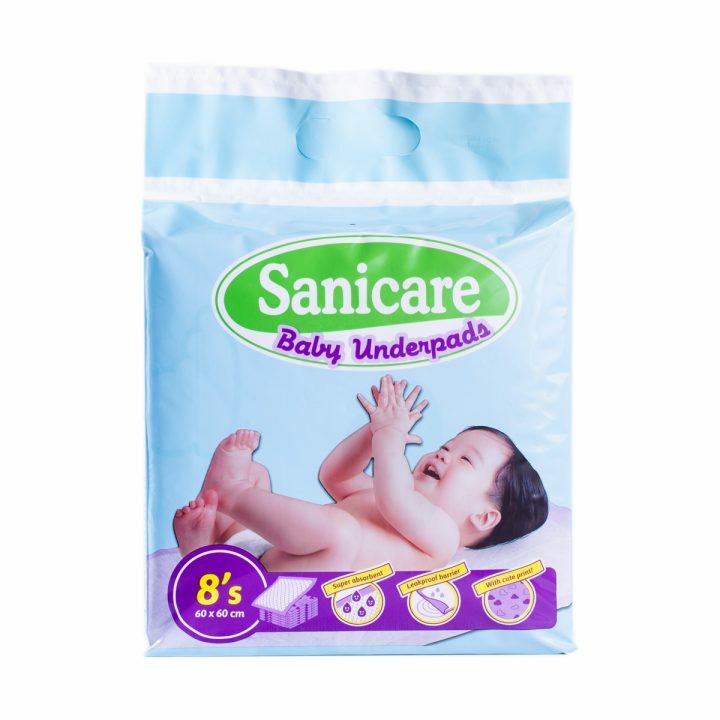 So ayan, mga mamas, get Sanicare products na! I'm listing down the complete line below and I added a few comments on some of them. Funny kasi very comprehensive na yung product range, diba, but being kikay us, Sarah, Shari and I asked for cotton pads (square or circular and embossed!) for removing makeup. Sanicare said they'll consider it! Kikay mamas, rejoice! I really love Sanicare. Sobrang sulit, sobrang galing, sobrang recommended ko and ni Bianca Gonzalez Intal pa! Bili na, mga mommies! 3. Facial Lunch Napkins - I think kaya siya "facial lunch" kasi pwede siyang table napkin and panyo! 3. Cleansing Wipes - I can't live without these! Here's my review. 3. Interfolded Hand Towels - I love these, too! Like I said, it's the very first Sanicare product we bought. I think it's the most versatile because you can use it sa bathroom, sa dining table, sa kitchen! 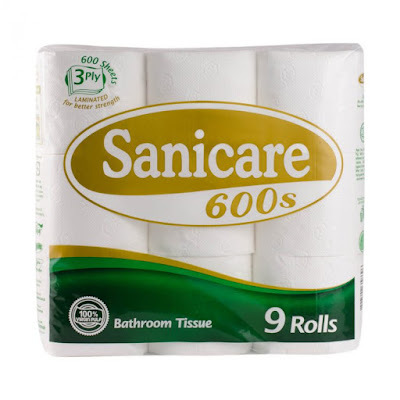 If you must buy just one Sanicare product, eto na yun! 2. Baby Underpads - This is the newest product and I'm excited to use it because we're toilet-training Piero. I always use an underpad when I let the toilet-training kids sleep without a diaper. 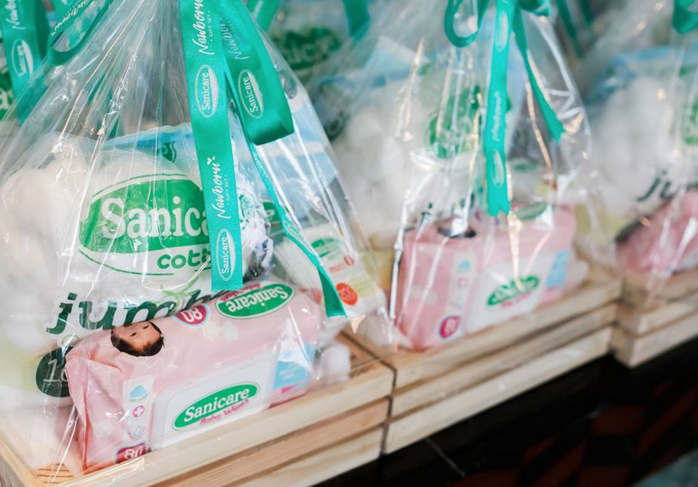 You can buy Sanicare products at all supermarkets nationwide. For more information on Sanicare, visit their website and like their Facebook page. *This post is brought to you by Sanicare. 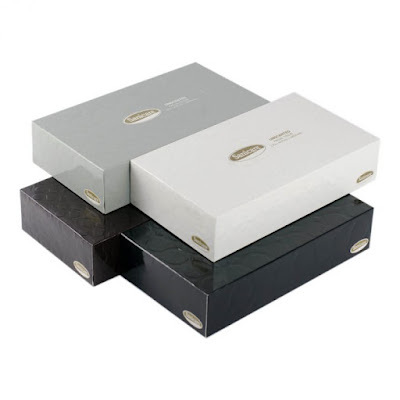 Most of the photos are courtesy of Sanicare.